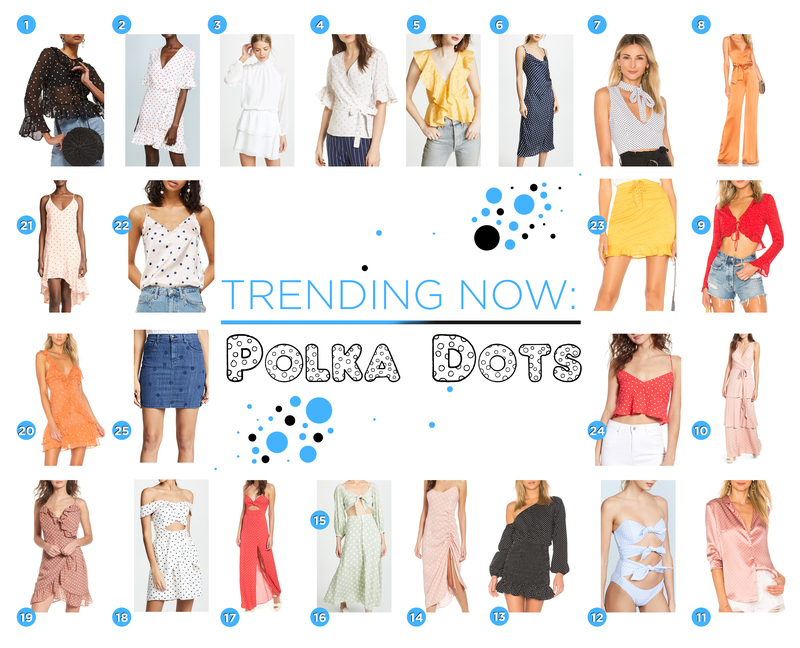 It’s true, polka dots are back! Yes, the print your parents constantly dressed you in has returned to give you a second chance, your way. By now, you know I don’t typically gravitate to all-out girly looks on the reg; I like to spice things up by blending in masculine statement pieces and accessories. So don’t be afraid to rough it up with this print in any which way! I bought this two piece set because I love having the option of wearing it together or as separates. (If you’re interested in seeing additional ways, let me know in the comments below!). Complete your look with some bold accessories to toughen up the femininity of the print. You’ll be spotted (hehe) taking this classic print from cute to edgy in no time. You can see my finished look below and as an added bonus, I’ve rounded up some of my favorite polka dot pieces at the end.